Sound a little too familiar? On a campus where these quantifying questions implicitly become the way we introduce ourselves — dare I say, the way we identify ourselves — before professors or orientation groups, it can be challenging to internalize what’s more to us than the PID. Right now, take five minutes and describe yourself, using adjectives, not courses. What about childhood memories or life mottos, dreams and aspirations beyond the GPA that cultivate you, as an individual, not just student? 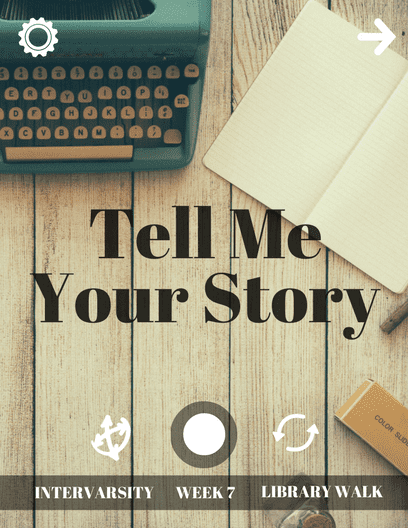 This week, UC San Diego campus’ faith-based org InterVarsity, will be hosting a week-long installation on Library Walk called, “Tell Me Your Story,” where you will get to do just that. So get in touch with your inner poet to write your own “I Am” piece, or read about who your fellow classmates and suitemates, RA’s and passing Tritons are.